Stay informed! Sign up for our member portal, MyPeoplesHealth, through our website or mobile phone app. Your account will let you check important documents, change your primary care physician, request a new ID card, and more. To use MyPeoplesHealth, you must create an account. Click here, then follow the onscreen prompts. Call member services if you need help. 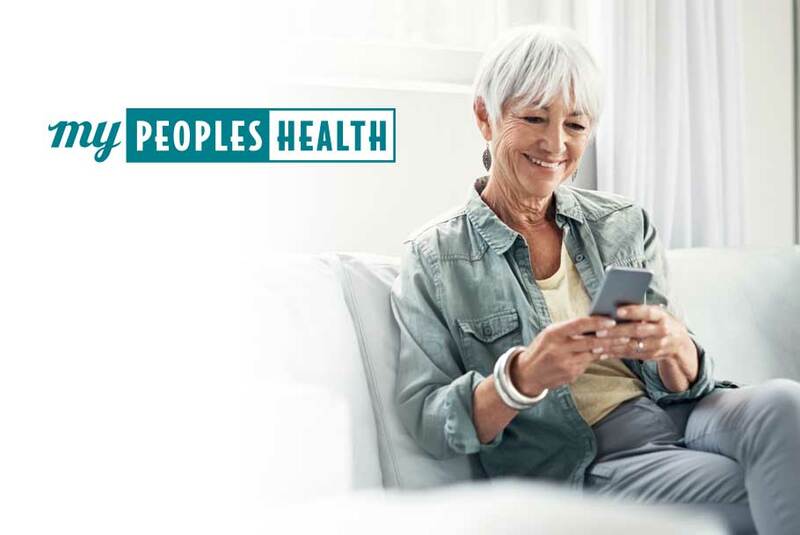 Download the MyPeoplesHealth app to your smartphone and you’ll get instant access to your health plan details and more. An exciting feature of MyPeoplesHealth is that you can set preferences and choose to go paperless with some documents we normally mail to you. Sign up to get these documents electronically through your account instead of by mail. You’ll get them in a more convenient way and be friendly to the environment, too. We can store electronic versions of many documents in your account for you to view, download and print. These include the Explanation of Benefits (information about services you receive), your Annual Notice of Changes and Evidence of Coverage plan documents, and other documents that become available electronically. We’ll send you an email each time an electronic document is available for viewing through your MyPeoplesHealth account. We won’t mail you a hard copy, unless you request it. And you can change your preferences at any time. What else can you do through MyPeoplesHealth? Good news! 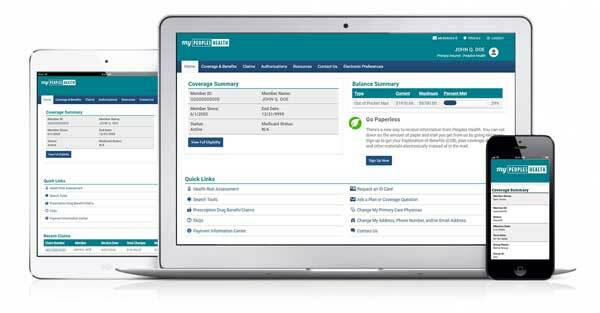 It’s quick and easy to take your annual HRA through MyPeoplesHealth. An HRA is a health risk assessment—a set of questions about your health. It helps you understand how healthy you are in different areas and identify risks. Being armed with this knowledge can get you closer to your health goals. You should complete an HRA yearly because your health and goals can change from year to year. To take your HRA online, just log in to your account, and under Quick Links, click the Health Risk Assessment link. Because you’re a member of one of our special needs plans, we need to make sure we get all the details we need about your health. The online HRA doesn’t include the questions we need to ask you, so we’ll call you to schedule your assessment when you’re due for it. Contact member services if you have questions.